Smile Train, and its 1,100 partners spread across 72 countries, are pleased to announce another successful year, continuing the mission which began 12 years ago – to give every child born with a cleft anywhere in the world – the opportunity to live a full, happy, and productive life. 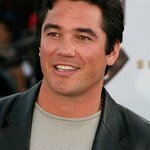 Among the many efforts during the year, Dean Cain, Tatyana Ali and Erik Estrada appeared on The 38th Annual Daytime Emmy Awards to help raise awareness for Smile Train by highlighting a recent trip they took to Mexico with the charity. Additionally, Erik Estrada continued his mission to support Smile Train by choosing to dance for the charity on the Univision hit show Mira Quien Baila! raising over $10,000. Lastly, comedian Jimmy Pardo continued the giving trend with his Third Annual PARDCAST-A-THON. “The holidays are an important time of year to remember those who are less fortunate. I support Smile Train so that they can continue the incredible work they do helping children around the world,” said Kevin Connolly. “During this time of year and all year round, we want everyone to remember that Smile Train continues to be the angels to these children and gives them a shot at a good life with a smile,” added Erik Estrada. Sammi Hanratty, star of the upcoming feature film The Lost Medallion: The Adventures of Billy Stone and the recently released The Greening of Whitney Brown, will join Smile Train on a trip abroad in 2012, to meet with Smile Train partners and the children who benefit from Smile Train’s work. Smile Train has a unique model of empowering local medical professionals to provide free corrective cleft surgery in a safe environment for children around the world suffering from a cleft lip and/or palate. Smile Train has provided over 700,000 free cleft surgeries since its founding in 1999. The work that Smile Train does provides a child with a second chance at life through a surgery that costs as little as $250.